The Mighty Pinata: NINETEEN: WHAT CIRCUS? NOTHING. ZERO. NAUGHT. DIDDLY. Four words that all describe what Officer Tonks had been able to accomplish outside the hospital. Just a great big goose egg. She’d not heard from the Piñata in over twenty minutes, and for a time there, would have sworn she had heard gunshots from somewhere within the hospital. But they had been faint, almost non existent. In fact, she couldn’t even been sure that they were gunshots at all. In the end, she did the only thing she could think of. She took the radio mike from her uniform and gave it a squeeze. She had to wait a moment for a response. That was some good news at least. She didn’t get a response. Three point two minutes later, no less that seven squad cars screamed out of the night, their lights bouncing off the surrounding buildings as they all screeched to their own individual halts in front of the hospital. Following along closely behind was a large and blocky van, black with the letters S.W.A.T. in white on the side. SWAT, finally. She loved the SWAT team. In her heart of hearts, Officer Tonks dreamed of being a part of the elite unit of police officers. The back doors of the van swung open, and the reason for her admiration stood just inside the opening. In full body armor and carrying an assault rifle across her chest, Sergeant Britta Gonzalez jumped from out the back of the van, ten similarly dressed troopers right behind her. Had this been a movie or television show, Britta’s entrance would have been done in slow motion with some sort of hard rock song to accompany it, something that went well with explosions. “Who was first on the scene?” Sergeant Gonzalez called out. “Right here,” Officer Tonks responded, throwing a hand quickly into the air. “And you are?” Sergeant Gonzalez asked. She towered above Officer Tonks and looked down on her with a grimace. “Officer Leslie Tonks, Sergeant,” she said. Sergeant Gonzalez looked her up and down, her mouth a flat line, until suddenly, a smile slit the woman’s face and she offered her hand to Officer Tonks. The grim men and women behind her looked, well, grim. “What’s the situation?” Sergeant Gonzalez asked. “We have an unknown number of armed terrorists in the hospital dressed in some sort of crustacean motif,” replied Officer Tonks. “Well,” Officer Tonks said. “They shot at me.” She gestured to her squad car and the bullet holes that marked up the driver’s side. “There’s something you should probably know,” said Officer Tonks. “Okay, so this guy came out of the hospital,” Tonks began. When the sergeant didn’t react, Officer Tonks continued. She told about the walkie talkies, how the Piñata had climbed back up the side of the building, and of the last thing he’d said over the walkie before he’d gone silent. “Vampire lobster?” Sergeant Gonzalez said, the arch of her brow rising even further. Officer Tonks then described the encounter she had with the pale lobster woman earlier in the evening. Sergeant Gonzalez listened with rapt attention as her team remained standing behind her, still looking grim. Her story completed, Officer Tonks waited as the sergeant took it all in. Her team grunted their affirmative. “So what’s the plan?” Officer Tonks asked. “We aren’t going in?” Tonks asked. “The patients aren’t what’s important.” This had come from a man in a suit who had seemed to materialize out of the night. He was tall and slim, with short cropped dark hair. And he worse sunglasses, despite the dark. “And who are you?” Sergeant Gonzalez asked. “You make sure and mind how you speak to a government agent,” Brody said. Brody stepped to her and pulled his sunglasses down his nose so that he could down at her, eye to eye. “What is with you and the circus?” Sergeant Gonzalez said. Everyone went quiet. All eyes were on the special agent who had torn his sunglasses from his face, and now stood, bent slightly, with his forehead in the palm of his hand. Gonzalez and Tonks shared a look, and in that look Tonks could see the concern in the sergeant’s eyes that mirrored her own. 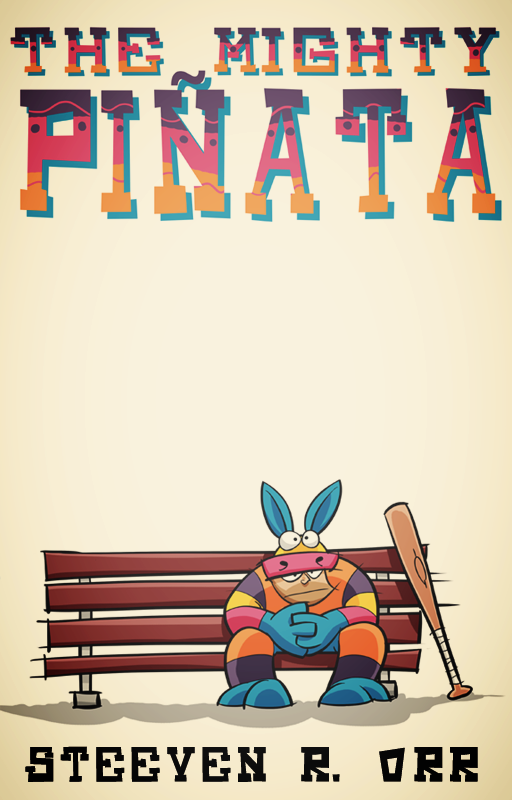 Are you reading The Mighty Piñata each week? Let me know. Leave a comment. Your voice must be heard!